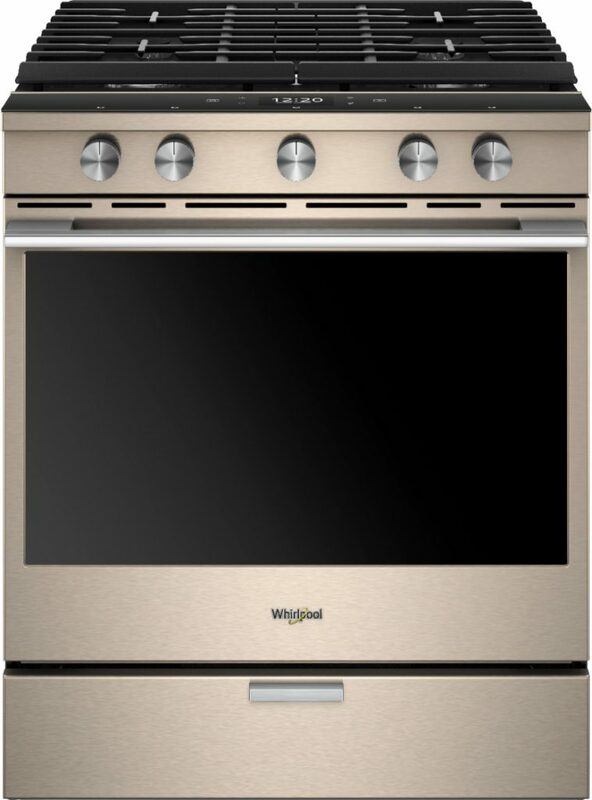 Whirlpool Sunset Bronze Gas Convection Range at Best Buy is on sale through the end of this month. That means you have the last chance to save up to $400 on Whirlpool Kitchen packages. I have a smart fridge and I am dying to own this Whirlpool Sunset Bronze Gas Convection Range at Best Buy. This appliance is absolutely gorgeous! If you are in the market for a new Convection Range, check this baby out! This is a sponsored post by Best Buy. All enthusiasm is mine and only mine. You can now control your oven from your smart phone. Of course you shouldn’t do this when you are not home. But what a great way to control the temperature when helping with the kids, feeding the dogs, and even helping with homework by doing it all from your phone and your app. With Holiday Entertaining right around the corner, you can control your oven from another room in the house when waiting and changing the temperature for the items you have in your oven. Perhaps you are just trying to keep your food warm for before guests arrive. Either way, you will feel connected! Purchase connected appliances and the Whirlpool Sunset Bronze Gas Convection Range at Best Buy today!